Singapore is a global hub for education, entertainment, finance, healthcare, human capital, innovation, logistics, manufacturing, technology, tourism, trade, and transport. The city ranks highly in numerous international rankings, and has been recognised as the most "technology-ready" nation (WEF), top International-meetings city (UIA), city with "best investment potential" (BERI), world's smartest city, world's safest country, second-most competitive country, third least-corrupt country, third-largest foreign exchange market, third-largest financial centre, third-largest oil refining and trading centre, fifth-most innovative country, and the second-busiest container port. The Economist has ranked Singapore as the most expensive city to live in, since 2013. It is identified as a tax haven. Singapore is the only country in Asia with an AAA sovereign rating from all major rating agencies, and one of 11 worldwide. Globally, the Port of Singapore and Changi Airport have held the titles of leading "Maritime Capital" and "Best Airport" respectively for consecutive years, while Singapore Airlines is the 2018 "World's Best Airline".Singapore ranks 9th on the UN Human Development Index with the 3rd highest GDP per capita. It is placed highly in key social indicators: education, healthcare, life expectancy, quality of life, personal safety and housing. Although income inequality is high, 90% of homes are owner-occupied. According to the Democracy Index, the country is described as a "flawed democracy". 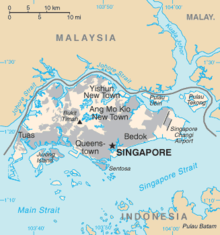 Singapore is also referred to as the Garden City for its tree-lined streets and greening efforts since independence, and the Little Red Dot for how the island-nation is depicted on many maps of the world and Asia, as a red dot. Also referred to as the "Switzerland of Asia" in 2017 due to its neutrality on international and regional issues. 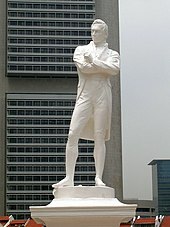 Raffles arrived in Singapore on 28 January 1819 and soon recognised the island as a natural choice for the new port. The island was then nominally ruled by Tengku Abdul Rahman, the Sultan of Johor, who was controlled by the Dutch and the Bugis. However, the Sultanate was weakened by factional division; the Temenggong (or Chief Minister) Tengku Abdu'r Rahman and his officials were loyal to Tengku Rahman's elder brother Tengku Long who was living in exile in Riau. 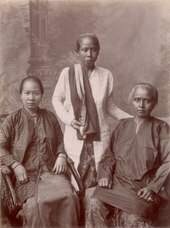 With the Temenggong's help, Raffles managed to smuggle Tengku Long back into Singapore. He offered to recognise Tengku Long as the rightful Sultan of Johor, given the title of Sultan Hussein and provide him with a yearly payment of $5000 and $3000 to the Temenggong; in return, Sultan Hussein would grant the British the right to establish a trading post on Singapore. A formal treaty was signed on 6 February 1819 and modern Singapore was born. The discussion of the cessation of hostilities between the British and the Japanese on 15 February 1942, after which the British willingly surrendered. Indonesia, however, opposed the formation of Malaysia over its own claims of Borneo and launched konfrontasi (Confrontation in Indonesian). On 10 March 1965, a bomb planted by Indonesian saboteurs on a mezzanine floor of MacDonald House exploded, killing three people and injuring 33 others. It was the deadliest of at least 42 bomb incidents which occurred during  Two members of the Indonesian Marine Corps, Osman bin Haji Mohamed Ali and Harun bin Said, were eventually convicted and executed for the crime. The explosion caused $250,000 in damage to MacDonald House. Since self-governance n 1959, Singapore has had only three Prime Ministers. In 2004, Lee Hsien Loong, the eldest son of Lee Kuan Yew, became the country's third Prime Minister. Lee Hsien Loong's tenure included the 2008 global financial crisis, the resolution of a dispute over Malayan railways land, and the introduction of integrated resorts. Despite the economy's exceptional growth, the People's Action Party (PAP) suffered its worst election results in 2011, winning 60% of votes, amidst hot-button issues of high influx of foreign workers and cost of living. 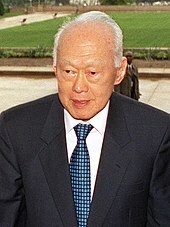 On 23 March 2015 Lee Kuan Yew passed away, during the 50th year of independence, declaring a one-week period of public mourning. Subsequently, the PAP maintained its dominance in Parliament at the September general elections, receiving 69.9% of the popular vote, behind the 2001 tally of 75.3% and the 1968 tally of 86.7%. Singapore has a tropical rainforest climate (Köppen: Af) with no distinctive seasons, uniform temperature and pressure, high humidity, and abundant rainfall. Temperatures usually range from 25 to 35 °C (77 to 95 °F). While temperature does not vary greatly throughout the year, there is a wetter monsoon season from November to January. 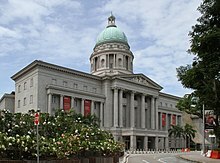 Singapore General Hospital Museum is housed in the Bowyer Block. Stefanie Sun's wax figure was unveiled at Madame Tussauds Singapore in 2014. 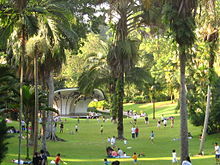 An SSO Concert at the Singapore Botanic Gardens. The city-state has a burgeoning food scene ranging from hawker centres (open-air), food courts (air-conditioned), coffee shops (open-air with up to a dozen hawker stalls), cafes, fast food, simple kitchens, casual, celebrity and high-end restaurants. Every day, 2 new restaurants open daily in Singapore. Many international celebrity chef restaurants are located within the integrated resorts. Religious dietary strictures exist – Muslims do not eat pork and Hindus do not eat beef, and there is also a significant group of vegetarians. For most events, organisers will be mindful of them and cater food that is acceptable to all or provide choices for the ethnic minorities. The Singapore Food Festival which celebrates Singapore's cuisine is held in July annually. 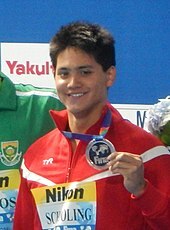 Joseph Schooling is a gold medalist and Olympic record holder at the Rio 2016 Games – 100 m butterfly. Three swimmers including Michael Phelps were in a historic three-way tie for silver. ↑ Of which 3,471,900 are citizens. ↑ "Environment". Base. Retrieved 13 October 2018. 1 2 3 "Population and Population Structure". Singstat. Department of Statistics Singapore. Retrieved 5 August 2018. 1 2 3 4 "World Economic Outlook Database, April 2018 – Report for Selected Countries and Subjects". International Monetary Fund (IMF). Retrieved 1 April 2018. ↑ "DISTRIBUTION OF FAMILY INCOME - GINI INDEX". Central Intelligence Agency. Retrieved 25 January 2019. ↑ "His fighting spirit helped S'pore leap from Third World to First". Today. Singapore. 26 March 2015. ↑ Coughlan, Sean (6 December 2016). "Singapore first place in school rankings". BBC News. ↑ "Singapore's unlikely rise as a Southeast Asian entertainment hub". Nikkei Asian Review. ↑ S., Ambili (20 March 2017). "Singapore healthiest Asian country; Italy tops global list despite economic crisis". International Business Times, Singapore Edition. 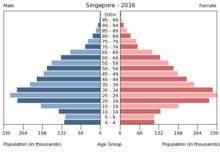 ↑ "Singapore's human capital most developed in Asia". The Straits Times. Singapore. 13 September 2017. ↑ "Singapore is fifth in 2018's Global Innovation Index". The Straits Times. Singapore. 11 July 2018. ↑ "Road map to boost Singapore's role as global logistics hub". The Straits Times. Singapore. 17 November 2016. ↑ "Singapore among 25 countries leading the world in advanced manufacturing: World Economic Forum". The Straits Times. Singapore. 12 January 2018. ↑ "Sponsored: Singapore may be small, but it is quickly becoming a massive global tech hub". Quartz. ↑ "Singapore tourism sector performance breaks record for the second year running in 2017" (Press release). Singapore Tourism Board. 12 February 2018. ↑ "Singapore is world's best business hub after London: PwC". The Straits Times. Singapore. 7 September 2016. ↑ "Singapore retains spot as World's Top International Meeting Country and City" (Press release). Singapore Tourism Board. 27 June 2014. ↑ "Singapore is the top international meeting destination in the world again". The Straits Times. Singapore. 27 June 2014. ↑ "Singapore best performing 'smart city' globally: Study". Singapore: Channel NewsAsia. 13 March 2018. ↑ "Singapore ranked safest country in the world, above Japan: Survey". AsiaOne. Singapore. 24 May 2018. ↑ "Singaporeans feel safest in the world as country tops law and order index". The Straits Times. Singapore. 24 May 2018. ↑ "Asian and European cities compete for the title of most expensive city". The Economist. London. 15 March 2018. Retrieved 21 April 2018. ↑ "SIA bags world's best airline title". The Straits Times. Singapore. 18 July 2018. ↑ "Singapore takes top spot again as world's maritime capital: report". Business Times. Singapore. 26 April 2017. ↑ "PECC – PECC :: The Pacific Economic Cooperation Council – International Secretariat". pecc.org. ↑ "Singapore remains top Asian city for meetings". The Straits Times. Singapore. 9 September 2015. ↑ "Singapore". bartleby.com. Archived from the original on 11 April 2001. Retrieved 14 April 2006. 1 2 C.M. Turnbull (2009). A History of Modern Singapore, 1819–2005. NUS Press. pp. 21–22. ISBN 978-9971-69-430-2. ↑ John N. Miksic (2013). Singapore and the Silk Road of the Sea, 1300_1800. NUS Press. pp. 151–152. ISBN 978-9971-69-574-3. ↑ "Sang Nila Utama". 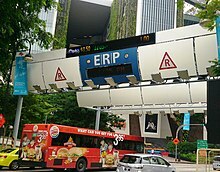 Singapore Infopedia. National Library Board. 2016. Retrieved 29 May 2017. ↑ "How Singapore gained its independence". The Economist. London. 6 August 2015. citizens of 'the little red dot'..
↑ "Editorial: The mighty red dot". The Jakarta Post. 8 September 2017. ↑ "Singapore – The Switzerland of Asia". 18 May 2017. Retrieved 21 September 2018. ↑ Hack, Karl. "Records of Ancient Links between India and Singapore". National Institute of Education, Singapore. Archived from the original on 26 April 2006. Retrieved 4 August 2006. ↑ "Singapore: History, Singapore 1994". Asian Studies @ University of Texas at Austin. Archived from the original on 23 March 2007. Retrieved 7 July 2006. ↑ John N. Miksic (2013). Singapore and the Silk Road of the Sea, 1300_1800. NUS Press. p. 154. ISBN 978-9971-69-574-3. ↑ John N. Miksic (2013). Singapore and the Silk Road of the Sea, 1300–1800. NUS Press. pp. 183–185. ISBN 978-9971-69-574-3. 1 2 "As in Heaven, So on Earth: The Politics of Visnu Siva and Harihara Images in Preangkorian Khmer Civilisation". academia edu. Retrieved 23 December 2015. ↑ "Results of the 1995–1996 Archaeological Field Investigations at Angkor Borei, Cambodia" (PDF). University of Hawai'i-Manoa. Archived from the original (PDF) on 23 September 2015. Retrieved 5 July 2015. ↑ Pierre-Yves Manguin, "From Funan to Sriwijaya: Cultural continuities and discontinuities in the Early Historical maritime states of Southeast Asia", in 25 tahun kerjasama Pusat Penelitian Arkeologi dan Ecole française d'Extrême-Orient, Jakarta, Pusat Penelitian Arkeologi / EFEO, 2002, p. 59-82. ↑ John N. Miksic (2013). Singapore and the Silk Road of the Sea, 1300–1800. NUS Press. pp. 155–163. ISBN 978-9971-69-574-3. ↑ "Country Studies: Singapore: History". U.S. Library of Congress. Retrieved 1 May 2007. ↑ "Singapore – Founding and Early Years". U.S. Library of Congress. Retrieved 18 July 2006. ↑ Jenny Ng (7 February 1997). "1819 – The February Documents". Ministry of Defence. Retrieved 18 July 2006. ↑ "Milestones in Singapore's Legal History". Supreme Court, Singapore. Archived from the original on 27 September 2007. Retrieved 18 July 2006. 1 2 3 "Founding of Modern Singapore". Ministry of Information, Communications and the Arts. Archived from the original on 8 May 2009. Retrieved 13 April 2011. ↑ "East & South-East Asia Titles: Straits Settlements Annual Reports (Singapore, Penang, Malacca, Labuan) 1855–1941". Cambridge University Press. Retrieved 31 July 2012. ↑ "The Malays". National Heritage Board 2011. Archived from the original on 23 February 2011. Retrieved 28 July 2011. ↑ Kevin Tan (2008). Marshall of Singapore: A Biography. ISBN 978-981-230-878-8. ↑ "On This Day – 15 February 1942: Singapore forced to surrender". BBC News. 15 February 1942. Retrieved 1 May 2007. 1 2 3 Wigmore 1957, p. 382. ↑ "Battle of Singapore". World History Group. Retrieved 8 May 2015. ↑ Abshire, Jean (2011). The History of Singapore. ABC-CLIO. p. 104. ISBN 978-0-313-37743-3. ↑ Blackburn, Kevin; Hack, Karl (2004). Did Singapore Have to Fall? : Churchill and the Impregnable Fortress. Routledge. p. 132. ISBN 978-0-203-40440-9. ↑ Leitch Lepoer, Barbara (1989). "Singapore, Shonan: Light of the South". Library of Congress Country Studies. Washington, DC: Government Printing Office. Retrieved 29 January 2011. ↑ Smith 2006, p. 556–557. 1 2 "Singapore – Aftermath of War". U.S. Library of Congress. Retrieved 18 June 2006. ↑ "Towards Self-government". Ministry of Information, Communications and the Arts, Singapore. Retrieved 18 June 2006. ↑ "Communism". Thinkquest. Archived from the original on 7 February 2012. Retrieved 29 January 2012. 1 2 3 "Country studies: Singapore: Road to Independence". U.S. Library of Congress. Retrieved 2 July 2011. ↑ "Headliners; Retiring, Semi". The New York Times. 2 December 1990. Retrieved 27 December 2008. 1 2 3 "The Singapore Legal System". Singapore Academy of Law. Archived from the original on 3 June 2011. Retrieved 26 June 2011. ↑ Lee, T. H (1996). The Open United Front: The Communist Struggle in Singapore, 1954–1966. Singapore: South Seas Society. ↑ Bloodworth, D (1986). The Tiger and the Trojan Horse. Singapore: Times Books International. ↑ "MCA: Wipe out extremists". Singapore Standard. 18 February 1959. ↑ "Appeal To Singapore". The Straits Times. Singapore. 28 March 1962. p. 10. ↑ "Singapore becomes part of Malaysia". HistorySG. Retrieved 6 February 2017. ↑ James, Harold; Sheil-Small, Denis (1971). The Undeclared War: The Story of the Indonesian Confrontation 1962–1966. Totowa: Rowman and Littlefield. ISBN 978-0-87471-074-8. Mackie, J.A.C. (1974). Konfrontasi: The Indonesia-Malaysia Dispute 1963–1966. Kuala Lumpur: Oxford University Press. ISBN 978-0-19-638247-0. ↑ "Record of the Wreckers". The Straits Times. Singapore. 16 May 1965. ↑ "Mac Donald House blast: Two for trial". The Straits Times. Singapore. 6 April 1965. ↑ "Mac Donald House suffered $250,000 bomb damage". The Straits Times. Singapore. 9 October 1965. ↑ Lau, A (2000). A moment of anguish: Singapore in Malaysia and the politics of disengagement. Singapore: Times Academic Press. ↑ "Road to Independence". AsiaOne. 1998. Archived from the original on 13 October 2013. ↑ Leitch Lepoer, Barbara (1989). "Singapore as Part of Malaysia". Library of Congress Country Studies. Washington, DC: Government Printing Office. Retrieved 29 January 2011. ↑ "A Summary of Malaysia-Singapore History". europe-solidaire. Archived from the original on 29 May 2012. Retrieved 29 January 2012. ↑ "Singapore separates from Malaysia and becomes independent – Singapore History". National Library Board. Retrieved 12 May 2017. Negotiations were, however, done in complete secrecy... (Tunku moved) a bill to amend the constitution that would provide for Singapore's departure from the Federation. Razak was also waiting for the fully signed separation agreement from Singapore to allay possible suggestions that Singapore was expelled from Malaysia. ↑ Sandhu, Kernial Singh; Wheatley, Paul (1989). Management of Success: The Moulding of Modern Singapore. Institute of Southeast Asian Studies. p. 107. ISBN 978-981-3035-42-3. 1 2 "Lee Kuan Yew: Our chief diplomat to the world". The Straits Times. Singapore. 25 March 2015. ↑ "History of Changi Airport". Civil Aviation Authority of Singapore. Archived from the original on 29 June 2006. ↑ "LUNCH DIALOGUE ON 'SINGAPORE AS A TRANSPORT HUB'". Lee Kuan Yew School of Public Policy. Lee Kuan Yew School of Public Policy. Retrieved 17 November 2018. ↑ Lam, Yin Yin. "Three factors that have made Singapore a global logistics hub". The World Bank Blogs. The World Bank. Retrieved 17 November 2018. ↑ "Singapore elections". BBC. 5 May 2006. ↑ "Parliamentary Elections Act". Singapore Statutes Online. Retrieved 8 May 2006. ↑ "Presidential Elections". Elections Department Singapore. 18 April 2006. Archived from the original on 27 August 2008. ↑ Encyclopedia of Singapore. Singapore: Tailsman Publishing. 2006. p. 82. ISBN 978-981-05-5667-9. 1 2 "Goh Chok Tong". National Library Board. Retrieved 6 February 2017. ↑ "Country profile: Singapore". BBC News. 15 July 2009. Retrieved 22 April 2010. ↑ hermesauto (28 August 2015). "GE2015: A look back at the last 5 general elections from 1991 to 2011". The Straits Times. Retrieved 7 October 2018. ↑ Heng, Janice. "For PAP, the numbers hark back to 2001 polls showing". The Straits Times. Archived from the original on 12 September 2015. Retrieved 12 September 2015. ↑ "The President". Singapore Government. 19 December 2010. Archived from the original on 11 June 2011. Retrieved 26 June 2011. ↑ "Halimah Yacob named Singapore's first female president". Al Jazeera. 13 September 2017. Retrieved 13 September 2017. ↑ "Members of Parliament". Government of Singapore. Archived from the original on 17 April 2011. Retrieved 12 June 2011. 1 2 "Freedom in the World 2010 – Singapore". Freedom House. Retrieved 12 June 2011. ↑ Singapore (4 August 2016). "The policies that shaped a multiracial nation". TODAYonline. Singapore. ↑ "Singapore". Freedom House. 2013. Archived from the original on 3 May 2014. Retrieved 28 May 2014. ↑ Lee, U-Wen. "PAP racks up landslide win, takes 83 out of 89 seats". Business Times. Archived from the original on 13 September 2015. Retrieved 13 September 2015. ↑ "The Singapore Legal System". Singapore Academy of Law. 25 September 2007. Archived from the original on 23 January 2011. Retrieved 10 June 2011. ↑ "Judicial caning in Singapore, Malaysia and Brunei". World Corporal Punishment Research. September 2012. Retrieved 12 December 2015. ↑ "Singapore country specific information". U.S. Department of State. 19 March 2010. Archived from the original on 30 December 2004. ↑ "Singapore: The death penalty – A hidden toll of executions". Amnesty International. 2003. Archived from the original on 13 January 2012. Retrieved 1 May 2011. ↑ "The Singapore Government's Response To Amnesty International's Report 'Singapore – The Death Penalty: A Hidden Toll Of Executions'" (Press release). Ministry of Home Affairs. 30 January 2004. Archived from the original on 14 November 2007. Retrieved 22 April 2010. ↑ "Hong Kong has best judicial system in Asia: business survey". ABS-CBN News. Quezon City. Agence France-Presse. 15 September 2008. Retrieved 24 November 2016. ↑ "Corruption Perceptions Index 2015". Transparency International. Retrieved 20 August 2016. ↑ Ortmann, Stephan; Thompson, Mark R (January 2016). "China and the 'Singapore Model'" (PDF). Journal of Democracy. 27 (1): 39–48. Retrieved 24 November 2016. ↑ Huff, W G (1995). "What is the Singapore model of economic development?". Cambridge Journal of Economics. 19: 735–759. Retrieved 24 November 2016. ↑ "Singapore". Washington, DC: World Justice Project. n.d. Archived from the original on 1 January 2014. Retrieved 5 July 2013. ↑ "Singapore to toughen protest laws ahead of APEC meet". Reuters. 17 January 2009. Retrieved 31 July 2012. 1 2 "Singapore country brief". Department of Foreign Affairs and Trade. Retrieved 15 November 2016. ↑ "Singapore Missions Overseas". Ministry of Foreign Affairs. Retrieved 27 January 2014. ↑ "Global Ranking – Henley Passport Index 2018". Henley & Partners. Retrieved 7 December 2018. ↑ Lee, Yen Nee (June 8, 2018). "White House explains why it chose Singapore to host summit with North Korea". CNBC. Retrieved June 12, 2018. ↑ "President Trump meets Kim Jong Un: Live updates". CNN. 11 June 2018. Retrieved 12 June 2018. ↑ "Trump and Kim make history with a handshake". BBC News. 12 June 2018. Retrieved 12 June 2018. ↑ "Overview". ASEAN. 2009. Archived from the original on 9 January 2008. Retrieved 18 February 2011. ↑ "APEC is established". National Library Board. Retrieved 4 July 2018. ↑ "NAM Member States". 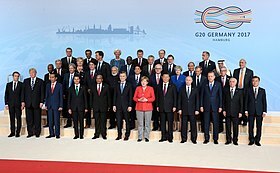 The Non-Aligned Movement. 23 January 2002. Archived from the original on 9 December 2010. Retrieved 18 February 2011. ↑ "Member States". Commonwealth Secretariat. Retrieved 18 February 2011. 1 2 3 "Australia – New Zealand Free Trade Agreement (AANZFTA)". New Zealand Government. 4 December 2008. Archived from the original on 2 August 2009. Retrieved 18 February 2011. 1 2 Gifford, Rob (18 September 1998). "Malaysia and Singapore: A rocky relationship". BBC News. 1 2 "World Factbook – Field Listing: International disputes". Central Intelligence Agency. Retrieved 18 February 2011. ↑ "Court awards islet to Singapore". BBC News. 23 May 2008. Retrieved 6 September 2017. ↑ Reading Room. "Currency Interchangeability Agreement – Brunei Notes and Coins". ↑ "Brunei Foreign and Trade Relations: ASEAN". New Zealand Ministry of Foreign Affairs and Trade. 14 January 2009. Archived from the original on 8 September 2009. Retrieved 18 February 2011. ↑ "Singapore Business Federation aims for over 100 local firms to take part in first China International Import Expo". The Straits Times. 22 February 2018. ↑ "Singapore, China leaders laud deep, growing ties". Today. Singapore. ↑ "Singapore and China's common interest 'greater than any occasional difference of views': DPM Teo". Singapore: Channel NewsAsia. 24 May 2017. ↑ "Singapore a 'strong supporter' of China's peaceful development". The Straits Times. Singapore. 25 May 2017. ↑ Zhang Xuegang (20 November 2007). "Opening 'window of opportunity' for China-Singapore cooperation". People's Daily. Beijing. Retrieved 31 July 2012. ↑ "Asean to step up terror fight, hold naval drill with China". The Straits Times. 7 February 2018. 1 2 Moss, Trefor (18 January 2010). "Buying an advantage". Jane's Defence Review. London. Archived from the original on 23 January 2010. ↑ "SAF remains final guarantor of Singapore's independence". Singapore: Channel NewsAsia. 1 July 2007. Retrieved 19 February 2011. 1 2 3 4 "Lunch Talk on "Defending Singapore: Strategies for a Small State" by Minister for Defence Teo Chee Hean" (Press release). Ministry of Defence. 21 April 2005. Archived from the original on 24 October 2007. Retrieved 19 February 2011. ↑ "S'pore to boost expenditure, raise defence spending". AsiaOne. Singapore. 13 October 2011. Retrieved 13 October 2011. 1 2 3 Barzilai, Amnon. "A Deep, Dark, Secret Love Affair". University of Wisconsin (originally published by Haaretz, July 2004). Retrieved 19 February 2011. ↑ Marsita Omar; Chan Fook Weng (31 December 2007). "British withdrawal from Singapore". National Library Board. Archived from the original on 21 June 2012. Retrieved 24 August 2012. ↑ "Israel alarm at UN force members". BBC News. 18 August 2006. Retrieved 12 October 2011. ↑ Rosenberg, Matt. "Diplomatic and Foreign Relations of Israel". About.com. Archived from the original on 15 January 2012. Retrieved 12 October 2011. ↑ "Malaysian FA apologises to Benayoun over racist abuse". BBC News. 29 July 2011. Retrieved 12 October 2011. 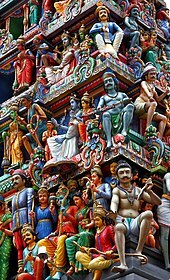 ↑ "Jewish Virtual History Tour: Singapore". Jewish Virtual Library. n.d. Retrieved 13 October 2011. ↑ "The Israeli Arsenal Deployed Against Gaza During Operation Cast Lead" (PDF). Institute of Palestine Studies. p. 186. Archived from the original (PDF) on 28 September 2011. Retrieved 10 July 2012. ↑ "Speech by Minister for Manpower and Second Minister for Defence Dr Ng Eng Hen" (Press release). Ministry of Defence. 18 February 2008. Archived from the original on 6 July 2017. Retrieved 19 February 2011. ↑ "PSC – FAQs". ifaq.gov.sg. Retrieved 11 August 2018. 1 2 "Singapore – Recruitment and Training of Personnel". Country-data.com. December 1989. Retrieved 19 February 2011. ↑ "75 SAF soldiers honoured for contributions in fight against ISIS". The Straits Times. 9 October 2017. ↑ "RAAF Base Pearce". Royal Australian Air Force. 2011. Retrieved 12 October 2011. ↑ "Opening Ceremony of the RSAF Helicopter Detachment in Oakey, Australia" (Press release). Ministry of Defence. 20 August 1999. Archived from the original on 13 March 2006. Retrieved 5 July 2013. ↑ "Beyond Limits – Jet Training in France". Ministry of Defence. 2011. Archived from the original on 25 June 2007. Retrieved 12 October 2011. ↑ "Equipment – Republic of Singapore Air Force". GlobalSecurity. 2011. Retrieved 12 October 2011. ↑ Reif, Jasmine (23 November 2009). "Singapore celebrates Peace Carvin V partnership with U.S. Air Force". U.S. Air Combat Command. Archived from the original on 14 November 2012. Retrieved 5 July 2013. ↑ Chua Chin Hon (13 July 2010). "PM gets feel of RSAF's new jet at US base". The Straits Times. Singapore. Archived from the original on 5 July 2013. Retrieved 5 July 2013. ↑ "Singapore to send 192 military personnel to Iraq". Singapore Window. Agence France-Presse. 7 October 2003. Retrieved 19 February 2011. ↑ "SAF to provide medical aid, set up dental clinic in Afghanistan". Singapore: Channel NewsAsia. 16 May 2007. Retrieved 19 February 2011. ↑ "Katrina Relief Operations". Ministry of Defence. 2011. Archived from the original on 25 October 2005. Retrieved 12 October 2011. ↑ "Bukit Timah Hill". National Heritage Board. Archived from the original on 9 April 2015. Retrieved 11 January 2015. ↑ "All set for transfer". The Straits Times. Singapore. 16 May 1958. p. 2. ↑ "MND Land Use Report". ↑ "Earthshots: Satellite Images of Environmental Change: Singapore". Earthshots. Retrieved 14 April 2015. 1 2 Brook, Barry W.; Navjot S. Sodhi; Peter K.L. Ng (24 July 2003). "Catastrophic extinctions follow deforestation in Singapore". Nature. 424 (6947): 420–426. doi:10.1038/nature01795. ISSN 0028-0836. PMID 12879068. ↑ ""Garden City" vision is introduced". History SG. Retrieved 16 November 2016. ↑ "Singapore, A City in a Garden" (PDF). National Parks Board. Archived from the original (PDF) on 24 March 2014. ↑ "Speech by MOS Desmond Lee at the Asia for Animals Conference Gala Dinner". National Development Ministry. Archived from the original on 10 July 2014. Retrieved 17 January 2014. ↑ "National Initiatives". National Biodiversity Reference Center. Archived from the original on 5 October 2007. Retrieved 26 September 2009. ↑ "Singapore Botanic Gardens declared UNESCO World Heritage Site". Channel NewsAsia. 4 July 2015. Archived from the original on 15 November 2017. Retrieved 15 November 2017. ↑ "Singapore National Environment Agency Weather Statistics". Retrieved 24 November 2016. ↑ Bond, Sam (2 October 2006). "Singapore enveloped by Sumatran smog". Edie newsroom. Retrieved 2 June 2011. ↑ Mok Ly Yng (22 September 2010). "Why is Singapore in the 'Wrong' Time Zone?". National University of Singapore. Retrieved 2 June 2011. ↑ "Weather Statistics". National Environment Agency (Singapore). Retrieved 20 March 2018. ↑ "Singapore/Changi Climate Normals 1961–1990". National Oceanic and Atmospheric Administration. Retrieved 1 December 2014. ↑ Baten, Jörg (2016). A History of the Global Economy. From 1500 to the Present. Cambridge University Press. p. 292. ISBN 978-1-107-50718-0. ↑ Li, Dickson (1 February 2010). "Singapore is most open economy: Report". Asiaone. Singapore. Archived from the original on 7 February 2010. Retrieved 10 May 2011. ↑ "Singapore ranked 7th in the world for innovation". The Straits Times. Singapore. 5 March 2010. Retrieved 23 August 2010. ↑ "The Global Competitiveness Index 2009–2010 rankings and 2008–2009 comparisons" (PDF). World Economic Forum. 2010. Archived from the original (PDF) on 1 October 2009. Retrieved 18 February 2011. ↑ "Singapore jumps to top of Global Dynamism Index". The Straits Times. Singapore. 29 October 2015. ↑ "Singapore top paradise for business: World Bank". AsiaOne. Singapore. Agence France-Presse. 26 September 2007. Archived from the original on 7 July 2009. Retrieved 22 April 2010. For the second year running, Singapore tops the aggregate rankings on the ease of doing business in 2006 to 2007. ↑ "Economy rankings". Doingbusiness.org. 27 October 2015. Archived from the original on 6 February 2015. Retrieved 28 October 2015. ↑ Nur Asyiqin Mohamad Salleh (26 January 2017). "Singapore climbs to 7th on global least-corrupt index". The Straits Times. Retrieved 4 July 2018. ↑ Ungku, Fathin; Teo, Hillary (11 March 2017). "Water price hike sparks rare public protest in Singapore". Reuters. Retrieved 11 March 2017. ↑ Lee Yen Nee (10 March 2016). "Singapore ranked world's most expensive city for 3rd year running". Today. Singapore. Retrieved 11 March 2017. ↑ "The AAA-rated club: which countries still make the grade?". The Guardian. London. 15 October 2014. ↑ Ogg, Jon C. (8 August 2011). "Remaining countries with AAA credit ratings". NBC News. Retrieved 12 October 2011. ↑ "CPIB Corruption Statistics 2015" (PDF). World Bank. 2 April 2015. Archived from the original (PDF) on 22 March 2016. ↑ "Statistics Singapore -IMF SDDS – Economic and Financial". Singstat.gov.sg. Archived from the original on 9 October 2013. Retrieved 14 October 2013. ↑ "Based on USD/SGD rate of 1.221". Xe.com. Retrieved 14 October 2013. ↑ "44 Percent of Workforce Are Non-Citizens" (our estimate) Archived 21 February 2016 at the Wayback Machine. Your Salary in Singapore. ↑ Seung-yoon Lee (9 April 2014). "Ha-Joon Chang: Economics Is A Political Argument". HuffPost. Retrieved 18 July 2014. ↑ Ramesh, S. (14 January 2011). "S'pore is India's second-largest foreign investor". Singapore: Channel NewsAsia. Archived from the original on 22 July 2012. ↑ "Gross Domestic Product (US$)". World Bank. Retrieved 18 September 2015. ↑ "Gross Domestic Product (S$)". International Monetary Fund. Retrieved 18 September 2015. ↑ "Gross Domestic Product Per Capita (US$)". World Bank. Retrieved 18 September 2015. ↑ "Gross Domestic Product Per Capita (S$)". Department of Statistics, Singapore. Archived from the original on 7 August 2015. Retrieved 18 September 2015. ↑ "Gross National Income (US$)". World Bank. Retrieved 18 September 2015. ↑ "Foreign Reserves". Monetary Authority of Singapore. Retrieved 18 September 2015. ↑ "Exchange Rates". Department of Statistics Singapore. Archived from the original on 27 September 2015. Retrieved 18 September 2015. ↑ "Real Gross Domestic Product (S$), Gross National Income (S$), GNI Per Capita (S$)" (PDF). Department of Statistics Singapore. Archived from the original (PDF) on 1 July 2015. Retrieved 18 September 2015. ↑ Low Siang Kok (2002). "Chapter 6: Singapore Electronic Legal Tender (SELT) – A Proposed Concept". The Future of Money (PDF). Paris: Organisation for Economic Co-operation and Development. p. 147. ISBN 978-92-64-19672-8. Retrieved 28 December 2007. ↑ "This Central Bank Doesn't Set Interest Rates". Bloomberg. 13 April 2015. ↑ Andrew Heathcote (15 April 2013). "Tax havens: Brett Blundy latest to join the Singapore set". Business Review Weekly. Archived from the original on 14 April 2013. Retrieved 18 April 2013. ↑ Nooten, Carrie (4 April 2013). "Pourquoi Cahuzac a-t-il placé son argent à Singapour?". Slate (in French). Archived from the original on 14 November 2016. Retrieved 13 November 2016. ↑ "Financial Secrecy Index – 2015 Results: Narrative Report on Singapore" (PDF). Tax Justice Network. 2015. Archived from the original (PDF) on 1 October 2016. Retrieved 23 November 2016. ↑ "Jakarta plans tax haven on two islands near Singapore". The Straits Times. 14 August 2016. Retrieved 13 November 2016. ↑ Anshuman Daga; Joshua Franklin (11 October 2016). "Singapore shuts Falcon bank unit, fines DBS and UBS over 1MDB". Reuters. Retrieved 13 November 2016. ↑ "UBS et Falcon sanctionnés à Singapour dans le scandale 1MBD". Bilan.ch (in French). 11 October 2016. Retrieved 13 November 2016. ↑ Mahtani, Shibani (1 June 2012). "Singapore No. 1 For Millionaires – Again". Wall Street Journal Southeast Asia blog. New York. ↑ "Minimum wage not a solution". MyPaper. Singapore. 12 January 2011. Archived from the original on 20 January 2013. ↑ "Countries with the Biggest Gaps Between Rich and Poor". Yahoo. 16 October 2009. Archived from the original on 8 October 2011. ↑ "Unemployment". Ministry of Manpower. 2015. Retrieved 25 December 2015. ↑ "Assistance". Ministry of Social and Family Development. 26 October 2014. Archived from the original on 26 October 2014. ↑ "The stingy nanny". The Economist. London. 16 October 2009. ↑ "Welfare in Singapore: Singapore government response". The Economist. London. 17 February 2010. ↑ "ActiveSG$100 for Singaporeans to play sport". Today. Singapore. 26 April 2014. Archived from the original on 23 June 2016. Retrieved 13 July 2016. ↑ "Baby Bonus". Ministry of Social & Family Development. Retrieved 13 July 2016. ↑ "NEU PC Plus Programme". Infocomm Development Authority of Singapore. Retrieved 13 July 2016. ↑ "250,000 Public Transport Vouchers to Help Needy Families Cope with Fare Adjustment". Ministry of Transport. 21 January 2015. Retrieved 13 July 2016. ↑ "Numbers and profile of homeless persons". Ministry of Social and Family Development. 13 August 2012. Archived from the original on 13 May 2016. Retrieved 13 July 2016. ↑ "Singapore Budget 2014 – Measures For Households". Government of Singapore. Retrieved 13 July 2016. ↑ "Singapore may cap low-skilled foreign workers". TV New Zealand. 2 February 2010. Archived from the original on 4 February 2010. Retrieved 11 April 2011. ↑ "Executive summary" (PDF). Building and Construction Authority. Retrieved 11 April 2011. ↑ Sudderuddin, Shuli (22 February 2009). "Singapore's phantom workers". The Straits Times. Singapore. Archived from the original on 25 February 2009. Retrieved 11 April 2011. ↑ "ICA– Immigration & Checkpoints Authority of Singapore". ica.gov.sg. ↑ "Singapore Edges Ahead of Hong Kong as No. 3 Financial Center". Bloomberg. New York. 8 April 2016. ↑ "Hong Kong overtaken by Singapore as third leading global financial centre". South China Morning Post. Hong Kong. 7 April 2016. ↑ Adam, Shamim (10 August 2011). "Singapore Miracle Dimming as Income Gap Widens Squeeze by Rich". Bloomberg. New York. Archived from the original on 16 August 2011. ↑ Burton, John (10 April 2006). "Singapore economy grows 9.1% in first quarter". Financial Times. London. ↑ "Facts and Figures". Singapore Economic Development Board. 30 January 2012. Archived from the original on 18 April 2012. Retrieved 21 April 2012. ↑ Yang Huiwen (7 November 2007). "Singapore ranked No. 1 logistics hub by World Bank". The Straits Times. Singapore. p. 69. ↑ "What did Singapore export in 2014? – The Atlas of Economic Complexity". atlas.cid.harvard.edu. ↑ "Gross Domestic Product by Industry" (PDF). Singapore Statistics. 2007. Archived from the original (PDF) on 24 June 2008. Retrieved 22 April 2010. ↑ "Singapore's OCBC Strongest Bank as Canadians Dominate". Bloomberg Business. New York. 10 May 2011. Archived from the original on 16 October 2015. ↑ "SIA tops Asian list among 50 most admired global firms". The Straits Times. Singapore. 26 February 2015. Archived from the original on 22 September 2015. ↑ "The world's best airlines". Fortune. New York. 7 July 2015. ↑ "Lee Kuan Yew, truly the father of Changi airport". The Business Times. Singapore. 12 September 2015. ↑ "Singapore tourism sector performance breaks record for the second year running in 2017". Singapore Tourism Board. 2017. Retrieved 11 August 2018. .
↑ "Proposal to develop Integrated Resorts – Statement by Prime Minister Lee Hsien Loong" (PDF) (Press release). Ministry of Trade and Industry. 18 April 2005. Archived from the original (PDF) on 27 November 2007.